I wouldn’t normally write a paean to the glories of a record label. In this, as in so many other things, 4 AD is different. Who remembers imports? In the pre-digital age it might be that you’d hear of a new record coming out, but just couldn’t find it anywhere. Turns out it wasn’t being sold in the U.S.–it was a special EP made only in Britain, or a promotional compilation for the Far East market, or a small pressing run used to help promote the European tour. If you wanted that album you’d have to find it as an import, through mail order or a very knowledgeable local shopowner with foreign contacts or the import section at Tower Records. And you’d always pay through the nose–those imported albums and cassettes cost at least $20 in mid-1980s dollars. The imports I longed for, the ones I kept being excited to find, came out on the 4AD label from the UK. Founded by Ivo Watts-Russell and Peter Kent in 1979, 4AD hit the ground running. 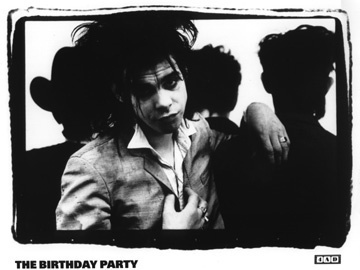 They gave us the very first releases from Bauhaus and Nick Cave’s first outfit, the Birthday Party. Think about that–they could have closed up shop after two years and we’d still remember this label as changing the musical landscape. Instead they went on to further define the goth sound with the Cocteau Twins and This Mortal Coil; helped jump-start American indie rock by signing the Pixies and Throwing Muses; and made vital contributions to shoegaze with Lush and Unrest. They just keep pushing music in bold new directions to this day, promoting acts like Grimes, TV On the Radio, Mountain Goats, and St. Vincent in the past ten years. So I hope you enjoy the compilation below of some of the best music from 4AD.